Made of Stainless Steel.100% high quality. Fast folding, can be placed on the trunk can also be placed on the hand, save space, suitable for travel belt. 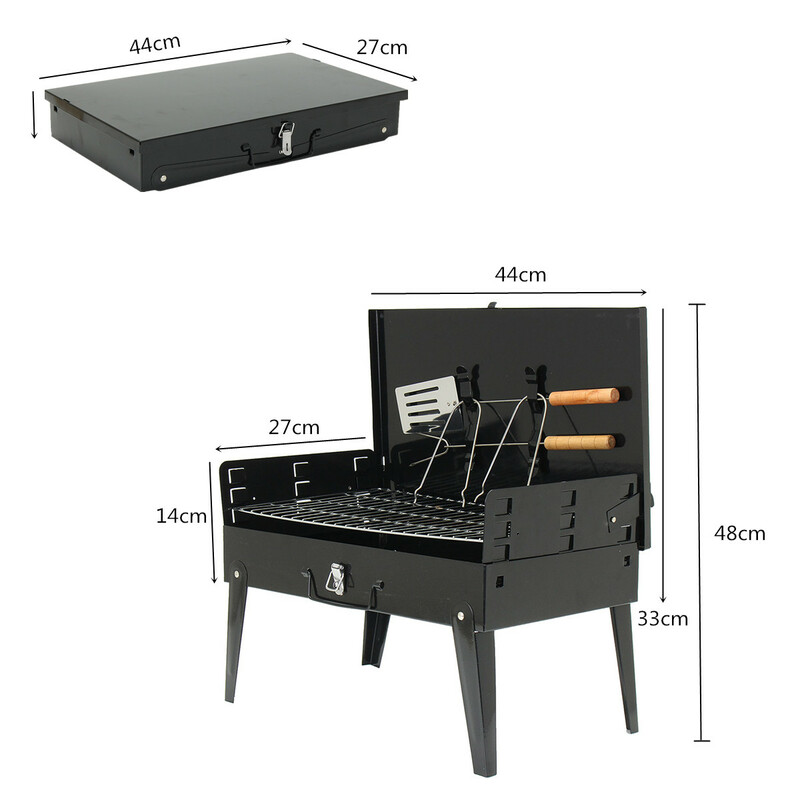 Portable tools, the barbecue tools into the oven, save space and clean and tidy. The lid is not only a storage function, the wind when the lid can be installed on the wind. Roasted three blocks height adjustment, according to the barbecue furnace need to adjust the height of roast.